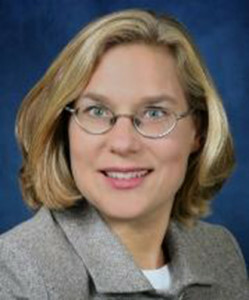 Paula Hall is a graduate of McGeorge School of Law, Sacramento, having attended law school after a career as a legal assistant. After traveling and working around the world with her wine maker husband, Paula began her practice with Bancroft and McAllister, a San Francisco firm specializing in estate planning. Paula and her family moved to Sonoma County where she joined a law firm in Santa Rosa, before joining the Law Offices of James F. DeMartini, of counsel, in 2001. She practices family law, estate planning, probate and trust administration. Paula has more than 15 years of experience advising and helping clients develop effective estate planning strategies to achieve their goals. Her knowledge of both family law and estate planning is beneficial to her clients in planning for the future after the divorce. For the emotional well-being of her clients and for the success of her family law cases, she prefers to use collaborative law and mediation to settle disputes. Aside from practicing law, Paula is a busy mother of two sons and a daughter. She is actively involved in the lives of her children.